In the book community, we can all agree that books are awesome. What’s harder to come to a consensus about is the best way to get books. Some say that libraries are the best, some only buy their books, and some prefer to read on an e-reader or another electronic device. And there are some bookworms (like myself) who like some combination of the three! Of course, I had to throw my two cents into the pot, so in this post, I’ll be giving you all the pros and cons of all three options. Perhaps you’ll be able to figure out which method is best for you! Why compare these three things even though I just said I like a combination of all of them, you may ask? WELL THAT’S A GOOD QUESTION, BUT I’M GOING TO WRITE THIS POST ANYWAY BECAUSE I LIKE MAKING LISTS. SHINY NEW BOOKS (Please tell me I’m not the only one who thinks of Moana now every time I say the word shiny.) Seriously though, the feeling of holding a brand new perfect book is so precious! You can keep your books forever! It’s nice to be able to keep your books if you really liked them because then you can reread them whenever you want. Supporting small businesses! I have an amazing indie bookstore in my area and I love being able to support them. The vibe—I just feel so at peace when I’m in a bookstore, and it’s basically my life’s goal to live in one. Having beautiful bookshelves is always fun. Fear of ruining books—the flipside of being able to get new books that have never been read before is that it makes me really scared to bend a page or mess up a dust jacket because NEW BOOKS ARE JUST TOO PERFECT. What if you don’t like them??? It really stinks if you spend money on a book and then you end up disliking it. Speaking of money…EXPENSIVE. Books cost a lot of money, especially new hardcovers! Library books are free!! This is seriously the best thing ever. Libraries tend to be really nice places to go. I love wandering around in the library, just looking at books. The environment is so homey and pleasant! And usually, there are chairs and things so you can sit and read or do homework or whatever. Sometimes libraries sell old books for like 25 or 50 cents! Did I mention library books are free??? There are due dates—it’s not fun if you have to return a book before you’re finished it, and you have to pay fines if you don’t return a book on time. Sometimes library books are messed up—I’ve checked out books before that had missing pages. You can’t keep library books forever! (Unless you just don’t return them, I guess, but don’t do that.) If you want to reread, you have to check the book out again. Libraries aren’t open all the time. At least I haven’t heard of any 24-hour libraries? That would be pretty cool. Libraries are more environmentally friendly—twenty people reading the same copy of a book uses less paper than twenty people getting their own copies, so less paper! CONVENIENCE. With e-books, you can basically fit all the books in the world in your pocket. E-books are generally cheaper than physical ones. You can get e-books immediately at any time—you don’t have to go out like you do for a store or a library. Reading e-books just doesn’t feel the same. Some people are totally cool with e-books, and for some, reading is just a completely different experience than holding a paper book in your hands. Depending on the device you use, the print can be really small. Sometimes when I read on my phone I have to zoom in every time I turn the page because it’s too tiny. People might misinterpret what you’re doing. Especially if you’re a teenager like me, people tend to get annoyed when you look at your phone, even if they have no idea what you’re doing. You run the risk of having an adult get mad at you if you read an e-book in front of them, much more so than if you were to read a physical book. It’s not fair, but people (mostly adults) often jump to the conclusion that if a teenager is on their phone, they must me looking at social media or doing something else that they disapprove of. You have to charge devices, whereas actual books do not need to be charged. All in all, I enjoy reading books in a combination of these three mediums, as they all have good points and bad points. Let me know in the comments: do you prefer bookstores, libraries, or e-books? I like libraries and library e-books! All of your cons for books is why I like ebooks. And reading ebooks on a phone or tablet is a terrible experience btw. You can’t fully judge e-books on there because tablets and cell phones strain your eyes after using them for a long time. It gives me a headache too! I have a Kobo for night time mode so I can read at night time. Next week I am getting the waterproof Kindle Paperwhite for FREE (trade in credit/coupon and another device trade in credit at another store). I love my Kobo. I can check out library books directly from my library. It’s easiest if I know what I want because otherwise the search is pretty minimized and I like seeing all of my choices at once. I go to the actual store and library when I want to see everything. E-books are also convenient to me because I live in an apartment and I’m running out of book space. Also, apartments= bills. Books are more expensive than ebooks and I’d rather spend $10.99 if I had to vs. 18.99 or more on the physical book. I buy the physical book if I REALLY enjoyed the book. I try to buy one format and check out the other from the library when I want it both ways. Yes that is also a very good point! Oh, and I also charge my e-reader at night time or while I am working so I don’t necessarily miss the reading time. People can also read while devices are being charged now. 😀 😀 Sorry, this is the last comment. I liked your blog post! Ohh yay! What Kindle did you get? I am glad you like it! And yeah I think I will get my physical books there from now on. Just have to be careful. Wow that sounds awesome! Space-saving is definitely a big plus for e-readers. And I didn’t know their batteries lasted so long, that’s incredible! I tend to go back and forth between all those options! Like right now, I’m getting a lot of my books from the library or reading through the books I already have on my shelf. Since I’ll be traveling soon, I also stocked up on ebooks (but they can be really expensive sometimes!). I wrote a list of books that I would allow myself to buy since I have a Barnes & Noble gift card! So far, I haven’t used it, which is a miracle! Yes, me too. Nice, B&N gift cards are the absolute best! Hello there, I really enjoyed this post, and made some notes as I read through it. You mentioned a con about not liking a book that you spent money on, it is defo, but think of it this way, at least you now know that, and can now donate it to someone via a second hand store, who will love it, or ask your library to set up a box whereby you can leave a book, and pick up a book, these are yours to keep, or bring back if you don’t like them, the idea is that everyone that takes a book from the box, leaves one in it’s place…or more than one. It is a wonderful idea and I’ve picked up books on doing a PHD, the ‘wrinkle in time’ book, a book on feminism, and ‘the night circus’ (still on my TBR list). One of the cons that you didn’t mention about owning a stack of books (though not really a problem if you like cleaning), is dust, the consistent dusting that one must do. Love your book sales, must mention them to our local library, here in Ireland, they don’t do old book sales…I do love that idea tho. Also, you forgot to mention a pro of getting books from libraries is that if they don’t have the book that you require, if you ask them nice, they will order that book in for you, it might take a week or two for it to arrive from another linked branch, but it’s a fantastic option. Congrats on your post, loved it, and love all three methods of reading and owning books. Thank you so much! You make so many great points. My bookshelf can get pretty gross if I haven’t dusted it in a while. 😉 And yes, it is great that libraries will get books for you from other branches. Libraries are awesome! Unfortunately, with my library, this can take a really long time, especially if it’s a popular book (I once waited for over a month), but it’s usually worth it! This is a great post! I love buying books, but most of the time I don’t have time to go to a bookstore and I’m usually broke. XD Plus, I find that if I borrow a book from the library and end up disliking it, that’s much better than if I had bought the book and ended not up liking it. And libraries are AMAZING because FREE BOOKS, so I think I’d have to say I prefer libraries the best. 🙂 But I do love bookstores and occasionally like e-books, though I don’t really read them that much. Thanks Olivia! Yes, libraries are amazing! 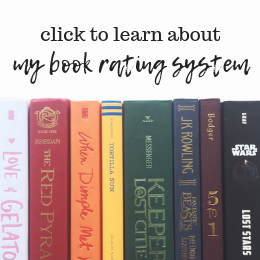 I completely agree with everything you’ve said—I love owning books but I also love libraries, and I occasionally read e-books (mostly just arcs). I love bookstores too! Magical is the perfect word to describe them with. Thanks Katie! I’m definitely more of an ebook girl! I like being able to carry around hundreds of books all at once via my phone. 🙂 And I still get the same feelings as I do when reading paperbacks… PLUS reading positions are so much more versatile. xD But I do agree that my eyes are not pleased with me, and my parents and very traditional family members constantly scold me for using my phone all the time. It is so nice to be able to have so many books in just a small device! I know what you mean, some adults really don’t like seeing people on their phones. I mostly use my library to borrow E-books. It’s much more convenient for me and I can read anywhere. As much as I love physical books, it can get expensive so I only buy books I’ve loved after reading them from the library. Convenience is such a big factor with e-books. I totally get what you mean! I prefer library books but since library isn’t the best, when there’s a new release that I really want to read, I buy an ebook (because it’s cheaper) and if I realllyyyy loved the book, then I buy a physical copy to keep forever and support the author further 💓 but you’re right, it’s super annoying when you’re on your phone and people assume you’re on social media, when actually you’re busy trying to get lost in another world 😂 I love this post! Yes that seems like a great strategy! Thank you! !